Hazon is the leading Jewish partner in Living the Change – a worldwide, faith-driven, evidence-based initiative designed to address the growing environmental challenges for our shared home. Demonstrate on a global scale how your individual transportation, home energy use, and diet choices can make a difference. Join us in making a commitment for the new year. Read below for more information about why this is so important. In London the Met issued a heat warning and advised people to “stay out of the sun.” In the fires around Athens, 74 people are dead, and countless are injured or have lost their lives. An essay in The Guardian makes clear that – as ever – this cannot solely be attributed to human behavior, but human actions are (a) contributing and (b) making things worse. The famous Talmudic injunction – “you’re not required to complete the task, but neither can you ignore it” (Pirkei Avot 2:16) – applies with full force to the environmental issues. For 18 years now, we’ve been doing all that we can, directly and indirectly, to integrate a commitment to sustainability into the fabric of Jewish life. We strive to connect people with the earth, to deepen the interweavings with Jewish teaching, and to support efforts to live more sustainably. Rich programming and innovative activities have been instrumental in deepening Jewish knowledge and increasing our reverence for the natural world that sustains us. 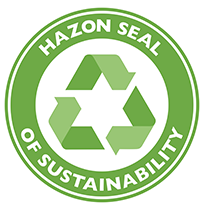 In the past couple of years we’ve added to this mix the Hazon Seal of Sustainability. It builds upon all of our work and all of our programming and creates a roadmap for Jewish institutions to drive change. I’m delighted to announce that later this year, with support from the Jewish United Fund of Metropolitan Chicago, we intend to bring a cohort of Chicago institutions into the Seal. If you are interested, please click here. Seal sites receive resources, consulting support, mini-grants, and participate in professional seminars – all tailored to support environmental education, action, and advocacy through the lens of Jewish tradition. 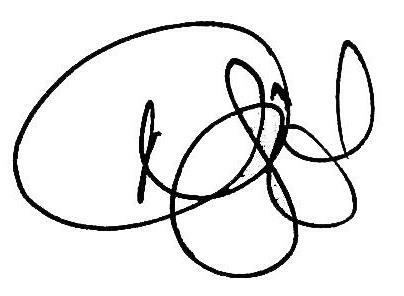 The Seal publicly signals an organization’s values, and turns those values into action steps. This framework motivates and inspires people to come together and do great things. Being a part of something larger really counts. The Hazon Seal of Sustainability works on an institutional level. And yet we want to foster change for all of us. Hazon recently became the leading Jewish partner in Living the Change – a worldwide, faith-driven, evidence-based initiative designed to address the growing environmental challenges for our shared home. A broad-based coalition of partner organizations – including the Australian Religious Response to Climate Change, the Hindu-based Bhumi Project, the Global Catholic Climate Movement, the Global Muslim Climate Network, the Buddhist-based One Earth Sangha, and the World Council of Churches, among others – is collaborating to shape, drive, and amplify our vision for a worldwide community of conscience and practice to drive lifestyle-related reductions of greenhouse gas emissions. This collective effort was launched at the November 2017 UN Climate Change Conference, and is intended to foster and quantify three areas of high-impact behavior changes that can each save up to 0.8 tons of carbon dioxide per person per year. (For example, carpooling three times per week, or eliminating meat on all days other than Shabbat.) Through commitments in transportation, home energy use, and diet, Living the Change invites individuals to fortify healthy, balanced relationships that help sustain the earth. Given that close to six billion people identify with a religion (Pew Research Center, 2017), the opportunity for these groups to create meaningful change through collective action cannot be ignored. The goal of the initiative is to get thousands of diverse religious and spiritual people around the world to make an individual commitment to live more sustainability, which will be presented at the Global Climate Action Summit in September 2018, the Parliament of the World’s Religions in November 2018, UN Climate Change Conference (COP24) in December 2018, and other leading global summits. We invite you to share a personal commitment. This is an opportunity for you to be part of something much larger – part of the solution to climate change – to demonstrate on a global scale how your individual choices can make a difference. And if you want one final piece of personal inspiration – check out this wonderful profile of Avodah’s Amanda Lindner in The New York Times, talking about how she managed a zero-waste apartment move in NYC. It’s a lovely piece, and thoroughly inspiring. The Seal program unites us as communities to take a stand and drive change. The Living the Change campaign provides an important opportunity to influence our closest circles and transform our communities from within. As is often the case in Jewish tradition, the values that underpin the tradition are deeply humanistic and surprisingly germane to our complex modern world. So may you be blessed to dance in a field or a vineyard; to wear – if that’s your style – a borrowed white dress; to find and to give love; and to live just a little more lightly on this beautiful earth.